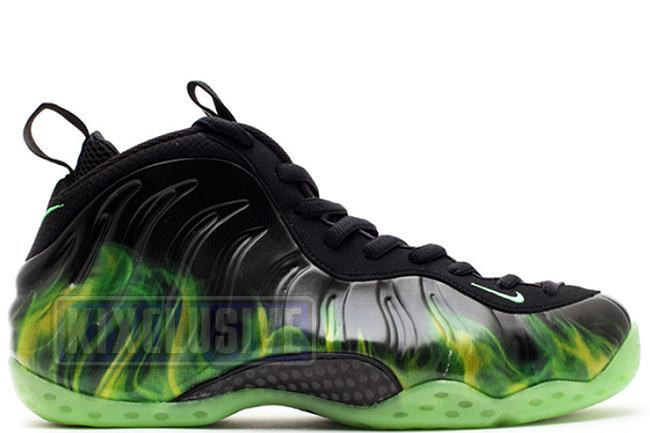 Info: This special Foamposite One was created in collaboration with the motion picture Paranorman. These are from the 80 limited edition packs created exclusively for the Born This Way Foundation auction. This special movie edition package features a lace lock of Norman's zombie slipper, a Norman embroidered bag and alternate zombie-smoke green laces. The shoes come packaged in a special box that features a deadstock seal which must be ripped to see the shoes inside. September 2012 auction only release. Note: These are NOT the Twitter contest pairs, they are the Born This Way auction pairs that include all of the extra accessories.